Now, rather than hold responsible those who failed in their responsibilities in that tragedy, and to address specifically the reasons why our law enforcement and judicial systems failed in that instance, state governments and the Congress of the United States are moving to dramatically reduce due process protections for everyone, or at least for everyone who owns a firearm. The vehicle being used to thus undermine citizens’ rights guaranteed by the Second Amendment, are so-called “red flag” laws (also known as “Emergency Risk Protections Orders”). The problems evident in the Parkland mass murder and others – Sutherland Springs, Texas in 2017, Charleston, SC in 2015, and Sandy Hook in 2012 -- are very real and very serious; and need to be addressed. However, doing so in ways that expand the government’s power to confiscate law-abiding citizens’ firearms without affording them long-standing and constitutionally-based due process, is neither necessary nor appropriate. Yet this is precisely what is happening. To gun-control advocates like 2020 presidential hopeful Sen. Cory Booker, every mass shooting is the result of insufficient gun-control laws – “loopholes” in Liberal Speak. To them, the failure on the part of law enforcement and other government agencies to have used the training, laws and procedures already available to them prior to a shooting tragedy, is not the problem. The problem always is that there were not enough gun control laws in the first place. In this worldview, the default solution is to give government more power to control and limit firearms. Thus – red flag laws. “Restraining orders” – that is, orders issued by judges that prevent individuals from doing something – are not new. Courts in our country, using procedures inherited in large measure from the English common law, have long recognized that there will be situations in which threatened or anticipated harm can provide a basis for a court doing something not normally favored or allowed – taking a person’s property or freedom without full opportunity for that person to defend against such action. Such procedures are the exception to the rule, however, and must be – and to this point, have been – carefully circumscribed and limited. Only in the rarest of circumstances are such restraining orders issued ex parte; that is, without notice to the target of the order to defend against the action. The new red flag law proposals now being enacted by several states, and aided by proposals being pushed in the Congress by Sen. Marco Rubio (R-FL) and others, take the concept of a judicial restraining order to a new, and problematic level. 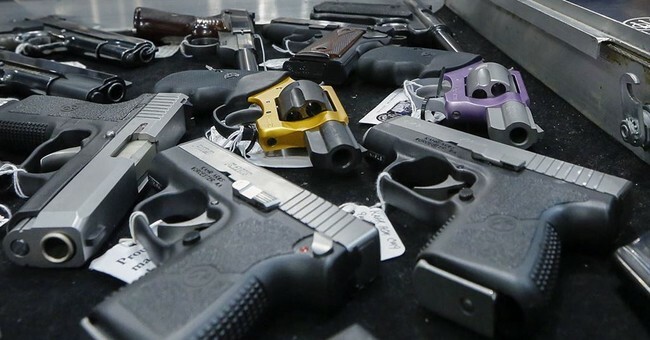 These proposals create a new category of restraining orders applicable to owners of firearms, and would permit virtually anyone at any time to enlist local law enforcement and a judge to issue ex parte orders (sometimes by phone) directing law enforcement to seize a person’s firearms based on fear that they might in the future commit a bad act with a gun. The concerns fueling these “red flag” proposals are genuine, and they are urgent. The solution, however, is not to toss due process out the window in the name of “public safety.” The question we ought to be asking (and to which we should be demanding answers) is why the powers and the tools already possessed by police agencies and our courts at all levels of government, are not being employed when and how they should be. The problem is greatly exacerbated because state governments have for years failed in their responsibility to provide adequate funding and personnel resources with which to address mental health issued displayed, often openly, by individuals like Nikolas Cruz in Parkland prior to their deadly rampages. Yet, rather than address these long-standing problems, with better training, more funding, and holding accountable bureaucrats and law enforcement officials who fail in their responsibilities, state governments are rushing to enact red flag laws and the Congress, as evident in last week’s Senate Judiciary Committee hearing on this very topic, appears ready to donate tens of millions of taxpayer dollars to state governments to establish such procedures. Red flag laws offer a comforting solution to an exceedingly complex problem; but they come at a heavy cost to our Bill of Rights.